April is the month when the transition from Winter to Spring is most marked. The wood anemones of March have begun to fade and give way to bluebells and blossom. 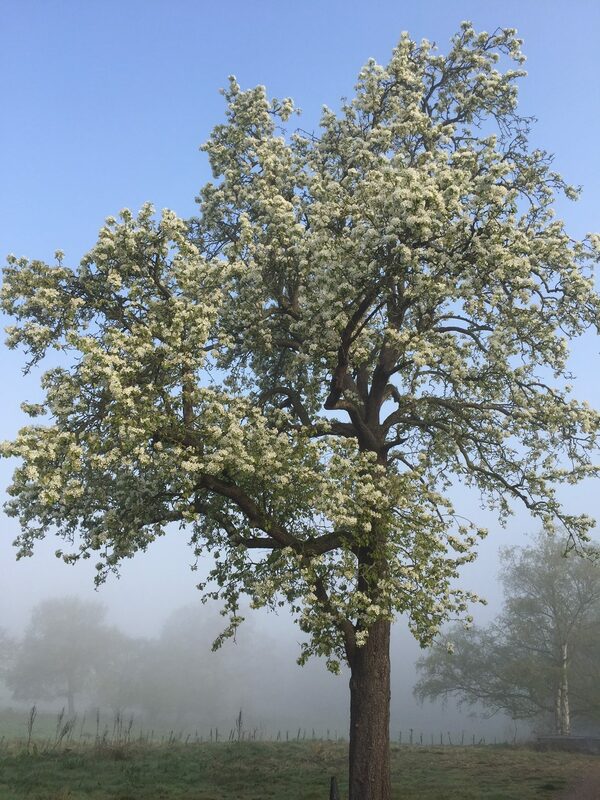 This wild pear tree was at its best in early April, rising through the early morning mist at Pheasanthouse Farm. 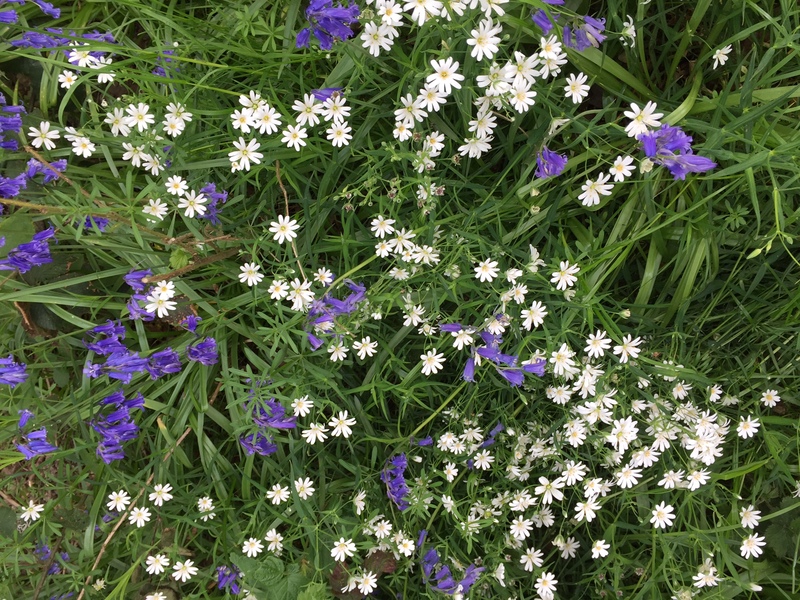 Greater stitchwort is abundant, seen here interleaved with bluebells. 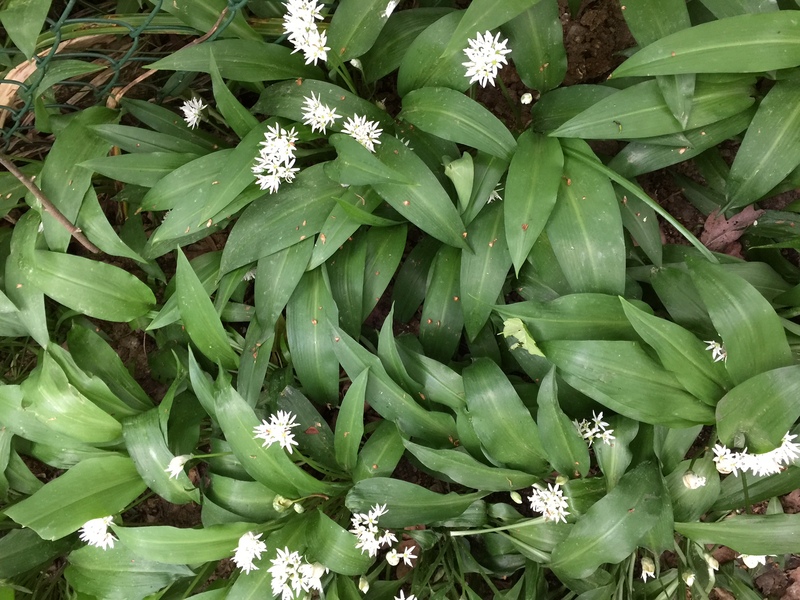 Wild garlic, the popular name for Ransoms, a member of the onion family, grows in damp patches, its distinctively smell makes it easy to recognise. I have read that if cows are let loose near it and eat it, their milk absorbs the smell and has to be thrown away. 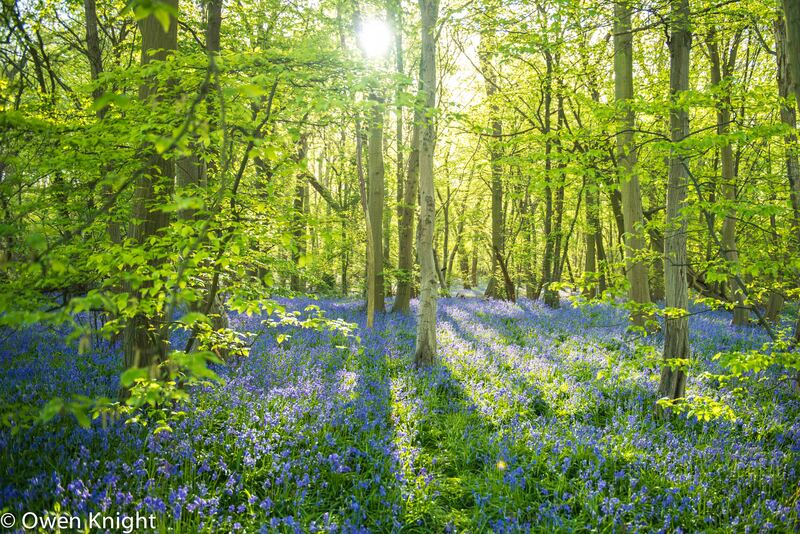 Naturally, it is the bluebells that most people identify as the defining woodland Spring flower. The extensive National Trust woodlands in Little Baddow produce acres of them, seen here at their best in early morning sunlight. 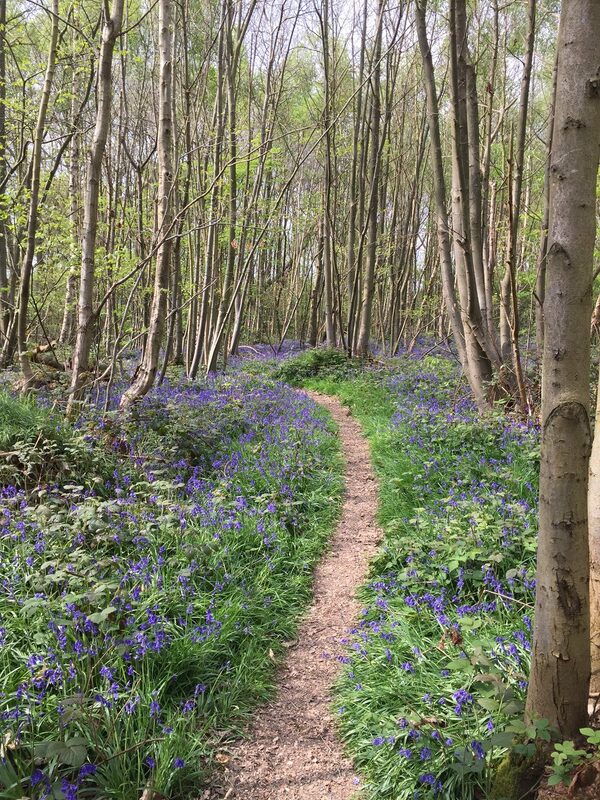 Another feature of the bluebell woods is the winding paths leading through them, presumably the preferred routes of foxes and badgers. 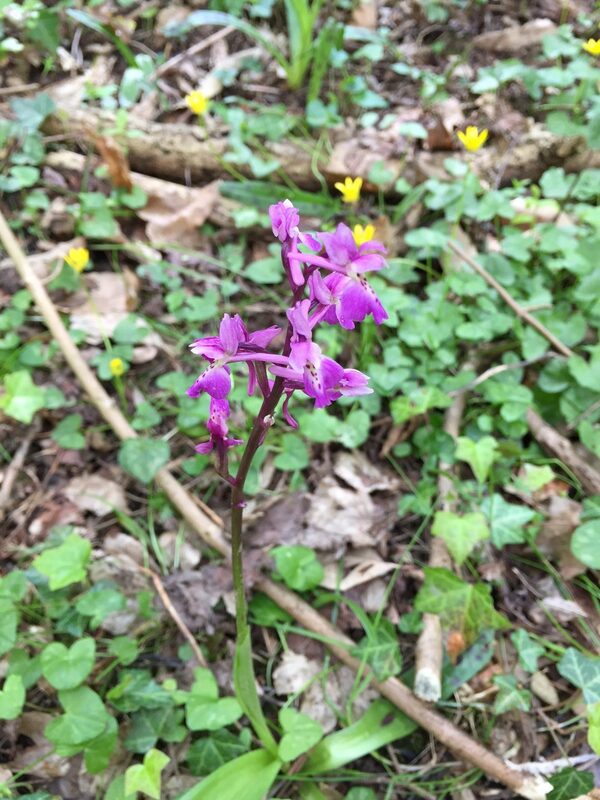 One of my favourite plants is the Early Purple Orchid. This is one of the earliest flowering orchids; only the Early Spider Orchid, which is now scarce and is not found in Essex, flowers earlier. 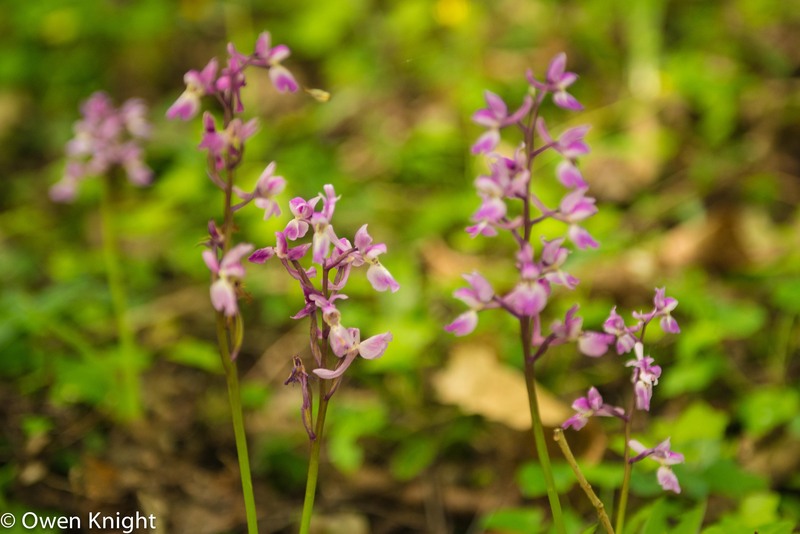 The flowers of the Early Purple Orchid vary greatly as can be seen in the following photographs.Although typically magenta, white and pink variations are found. Some are tall with crimson stems and larger flowers, whereas the paler ones are smaller and slimmer. The yellow flowers are lesser celandines. 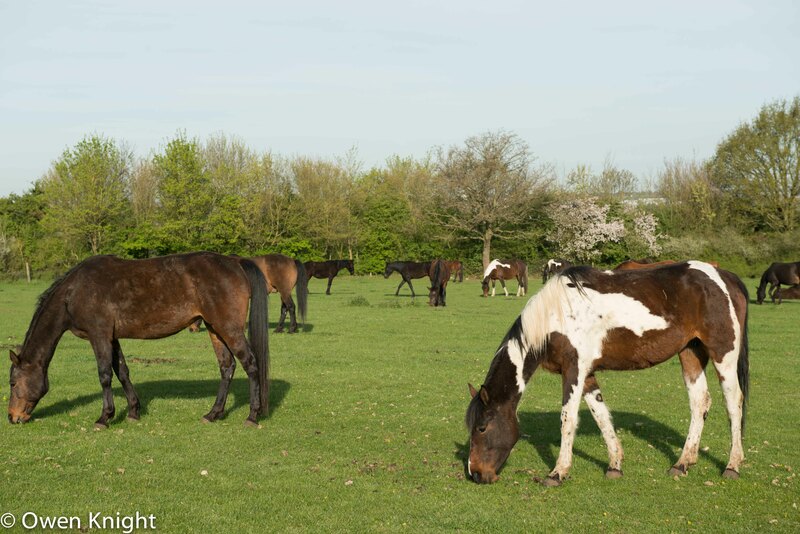 …while to the west of the woodlands, horses graze on farmland. 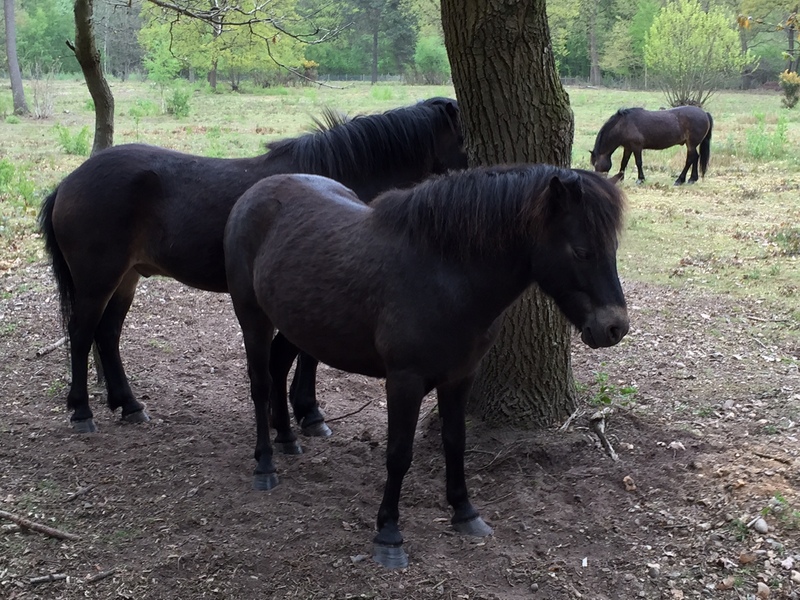 I am told these are Exmoor ponies, identifiable from the white band on their noses. The month opened with the flowering of the pear tree. 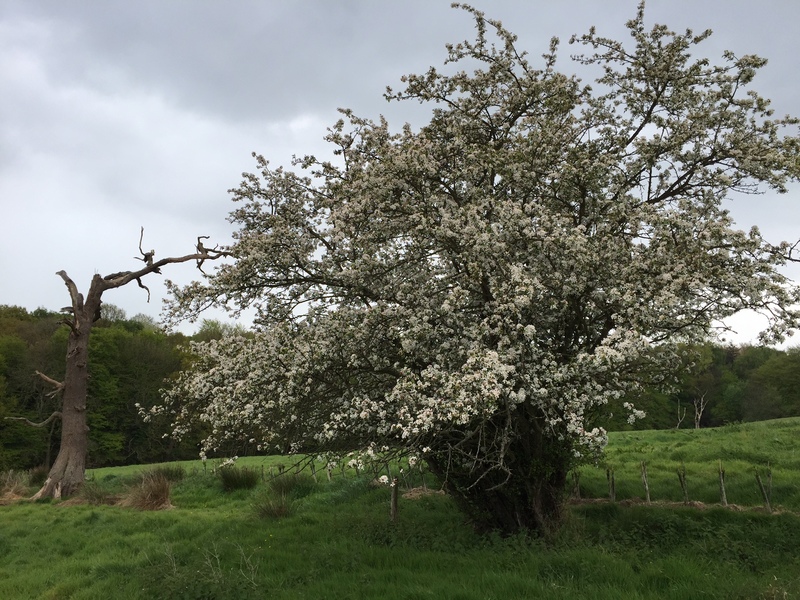 As May arrives, wild apple trees come into blossom. 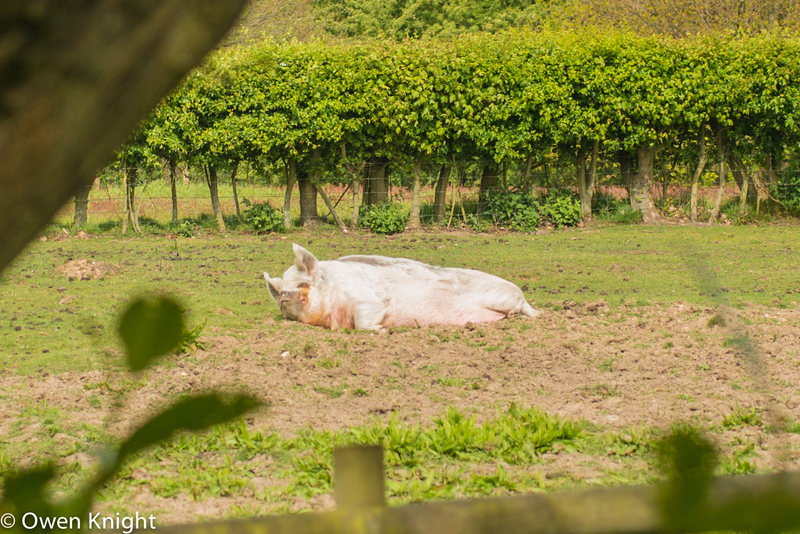 Some local residents are totally oblivious to all this, preferring to bask in the slowly warming sun. Finally, I must included a shot of my favourite house in the village, located adjacent to the woods. I spoke to the owner, as the building was nearing completion about five years ago. 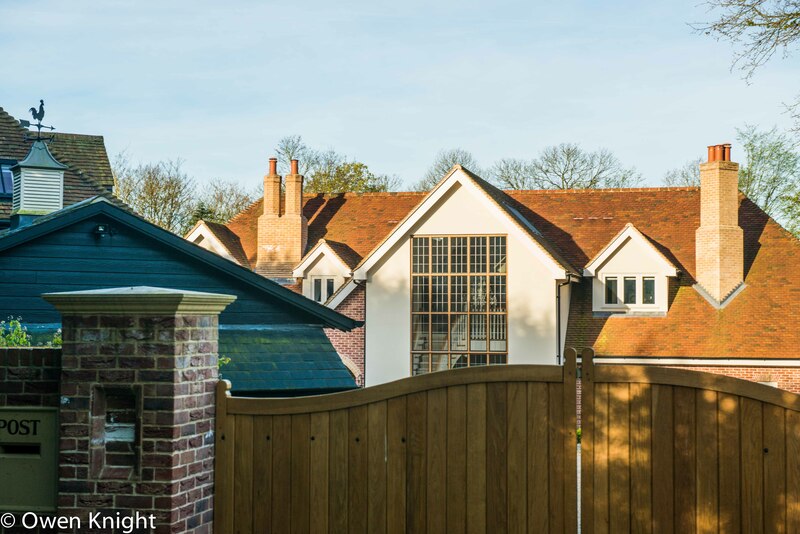 He was understandable proud of its design.The exterior is very much influenced by William Morris, with the traditional window design, chimneys and lime mortar pointing. I like the curves of the staircase, seen through the atrium. The outbuildings, too, are very tasteful. Beautiful photos and descriptions Owen. A real pleasure to read and look at. Thank you.